A Rare Sighting of Cleo and Abba Together! 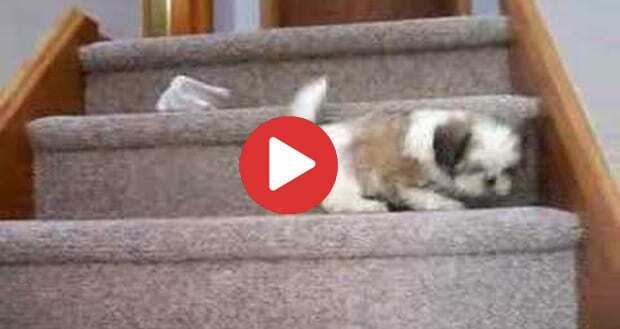 When it comes to pet birds and pet dogs, generally it is a challenge to get them to get along, just because dogs have predatory instinct to hunt them. When integrating a bird and dog into the same household, you will want to make safety provisions for both animals like introducing them in a neutral area, keeping your bird and dog caged and leashed at first, and rewarding them both for good behavior. In our household, our bird Cleo and our Shih Tzu Abba do not get a lot of interaction with one another because Cleo is afraid of Abba, but the other day Cleo decided to brave the floor and drop down right in front of Abba. This was the result! As you can see, Abba went nuts! Not only did Abba not take her eyes of Cleo once, but she immediately began wagging her tail like crazy. Although the interaction was brief, it goes to show that dogs can be completely amazed by birds and that when trained properly, a dog isn’t going to necessarily jump at your bird with the first chance he or she gets. 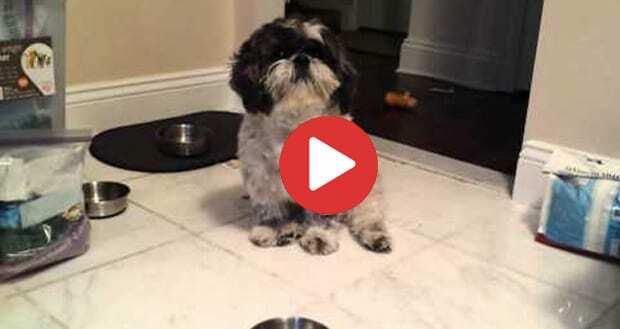 Cooper the Shih Tzu Does Unusual Tricks! The Moment When Cooper Finds His Bark! 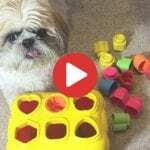 Penelope (penny) on 50 Cute names for your Shih Tzu! 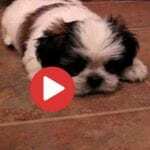 Missy on 50 Cute names for your Shih Tzu! 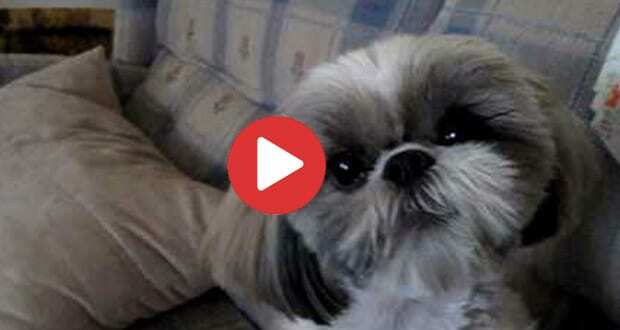 Baxter on 50 Cute names for your Shih Tzu!